nter a world where everything, even our classic fairy tales, is not at all what it seems. Stand alone or series: Book 1 in the League of Heroes series, following the adventures of Liam, Frederic, Duncan, and Gustav (and hopefully Ella?). Why did I read this book: I am a huge fan of Walden Pond Press and eagerly await their middle grade new releases. 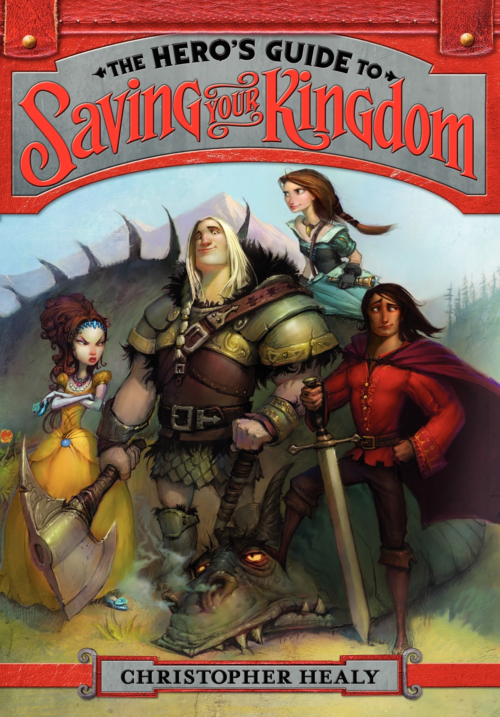 When I learned about this book – in which four unusual and un-heroic Prince Charmings must figure out a way to save the day (with help from their princesses, of course) – I was instantly hooked. Bards almost always get things wrong. Sure, they manage to convey the general storyline, but they get all the details wrong. Like the names of the people involved. Across four different kingdoms, bards have been singing their tales of great deeds and romance…but lumping all the heroes together under the name of “Prince Charming”. Prince Charming is, in fact, four different princes – Frederic (of Cinderella fame), Gustav (who tried to save Rapunzel but she ended up saving him, in reality), Liam (the guy that woke up Sleeping Beauty), and Duncan (Snow White’s hubby). After the magically romantic evening of the grand ball and finding his true love in Ella (Cinderella, that was), things seem to be going just swimmingly for Prince Frederic and his new fiance. However, what is fun for Frederic (picnicking on castle grounds) proves to be not so much fun for Ella, who grows weary of her fiance’s penchant for sleeping until noon, his focus on wardrobe, and most of all, his aversion to adventure. 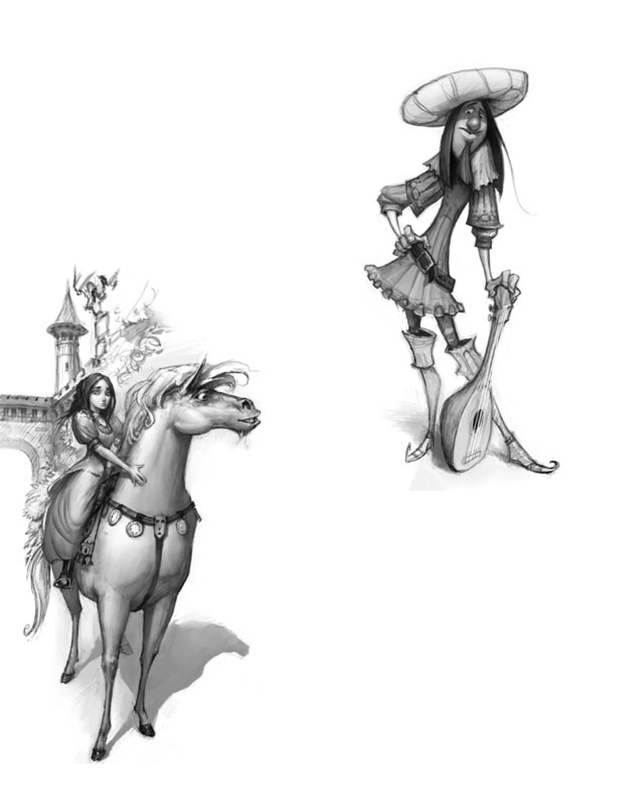 Ella leaves Frederic for her own grand adventures – but Frederic is determined to get her back. Embarking on his own grand adventure to win back his beloved, Frederick soon runs into other similarly disgruntled princes who have been, for varying reasons, left behind by their princesses. Gustav, while tall and strong, has a bit of an inferiority complex compared to his older brothers – and things didn’t get any better when he tried to rescue Rapunzel from the clutches of the evil witch, only to get pushed out the tower window, blinded, and saved by the very same Rapunzel after she singlehandedly her witchy captor. Frustrated by the jeers of all of those in his kingdom, Gustav pushes Rapunzel away and sets off to do something truly heroic to earn some respect. Liam is every bit the handsome, heroic, storybook prince, but after saving Sleeping Beauty and her kingdom from the sleeping curse and besting a different witch, he finds out that his betrothed princess is actually a terrible person that starts willfully spreading malicious rumors about Liam’s character. Duncan is perfectly happy with his wife Snow White and a bit of an oddball. To be fair, Snow is an oddball, too. Their combined oddness makes them a perfect pair, but there’s still an adjusting period to go through and things are a little off for Duncan and his new bride. Together, the Prince Charmings (ok, actually “Princes Charming”, as Liam would interject) team up to thwart a nefarious plot from a familiar witch (and a Bandit King and his posse), win back the girl and earn the respect and thanks of their various kingdoms. And they’ll have some fun and learn a little something along the way, too. Gorgeous, right? And finally, of course, there’s a good healthy dose of the absurd, too. An unlikely Bandit King, a gentle Giant, vegetarian Trolls, and a few surly dwarves? Of course there’s absurdity involved! What else can I say? This is a wonderful, delightful middle grade adventure novel that should be read and loved by young readers everywhere. Preferably out loud. With voices. Absolutely recommended. I cannot wait to follow these particular Princes Charming (and Ella!) on another their next adventure. Notable Quotes/Parts: You can listen to the first chapters via the widget below! Additional Thoughts: Make sure to stop by and check out Christopher Healy’s guest post, in which he discusses his inspirations and influences for The Hero’s Guide! This one DOES sound charming! I need some delightful adventure by way of this book, stat. I love middle grade fantasy. This is the first I’ve heard of this one, but I will definitely be adding it to my list. It’s amazing one of the best books I’ve read.